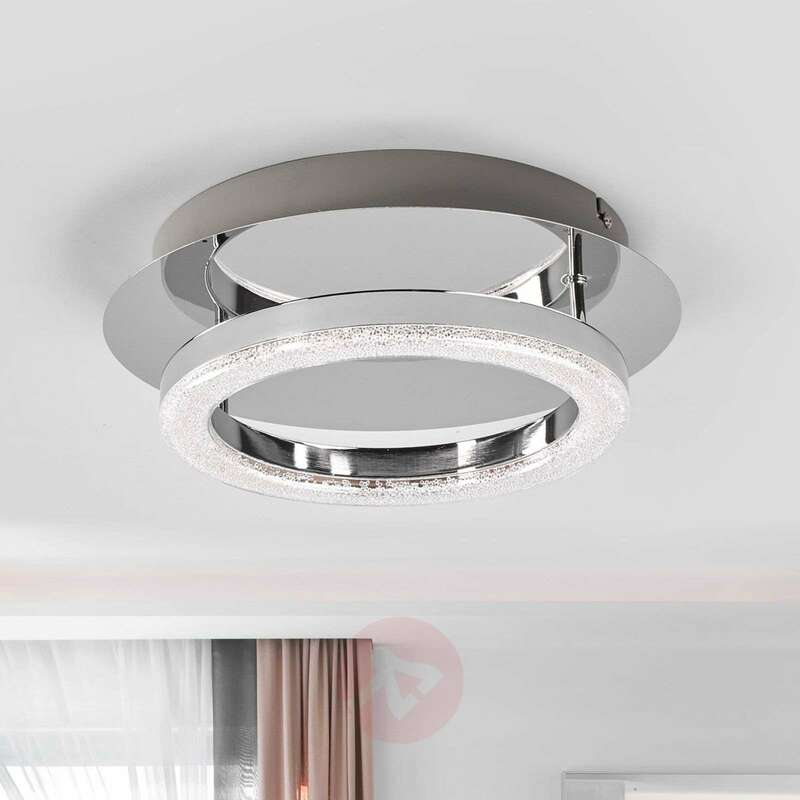 The luminous ring on the Daron ceiling light is made from plastic and features powerful LEDs with a warm white luminous colour. 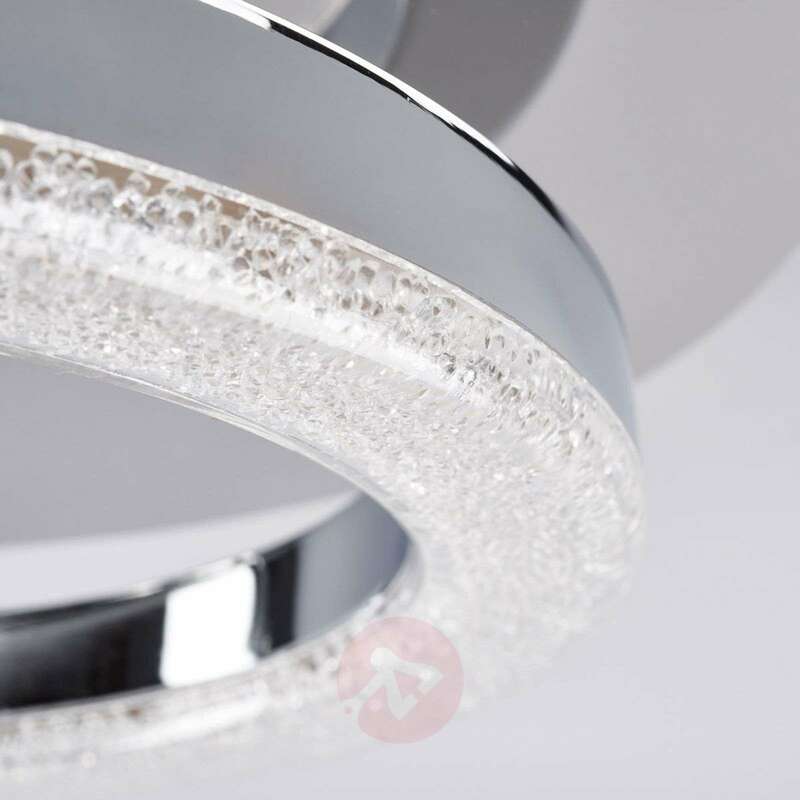 The light ring is not just white or clear, however; instead it features an interesting crushed glass look. 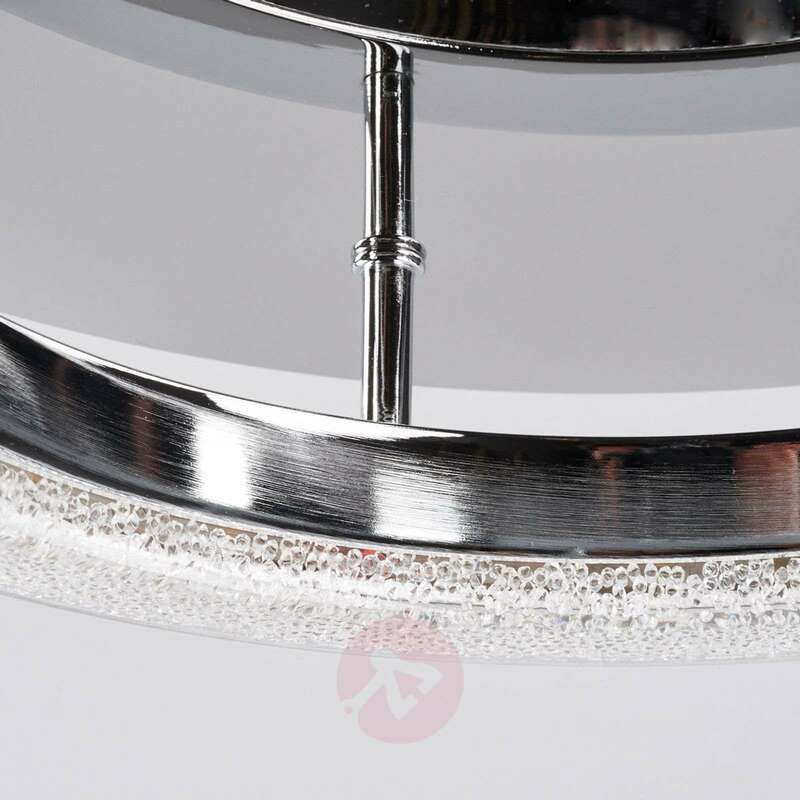 Numerous tiny clear glass-like stones have been embedded in the frame to create an interesting, sparkling light effect when the LEDs are turned on. 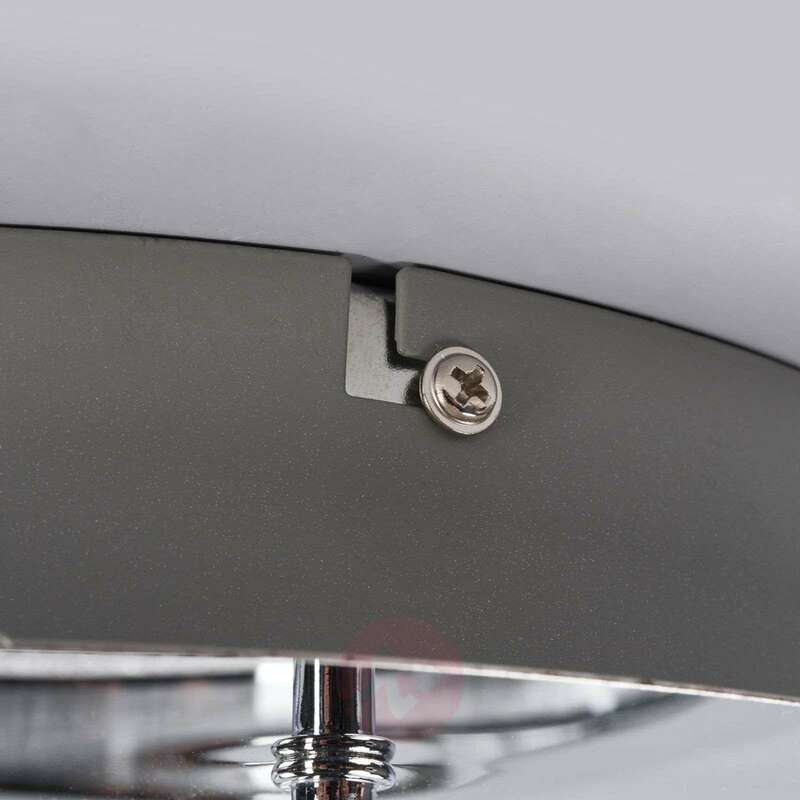 This effect also reduces the glare from the LEDs. 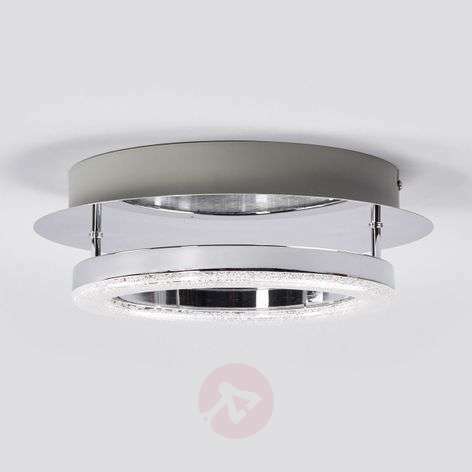 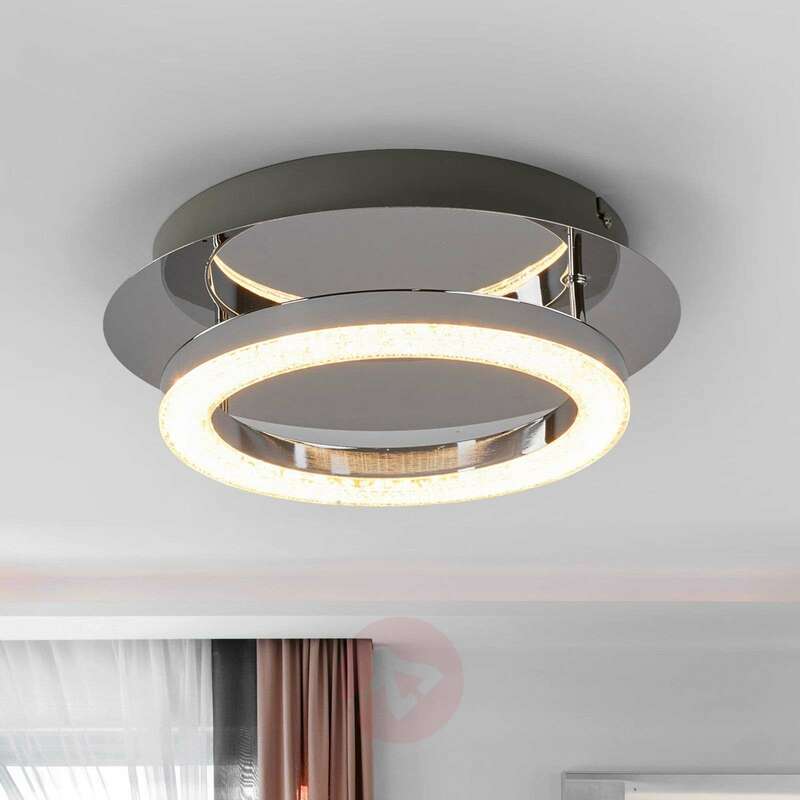 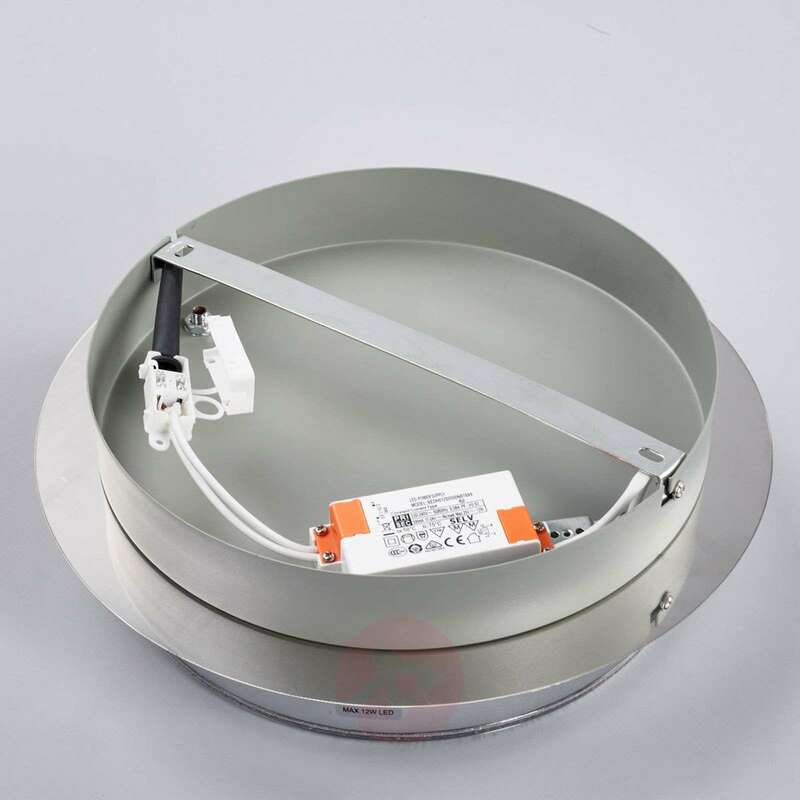 Thanks to LED technology, this ceiling lamp is a very energy-saving light source, which is ideal for general lighting.